John Ryle was born in Bollington in 1817. 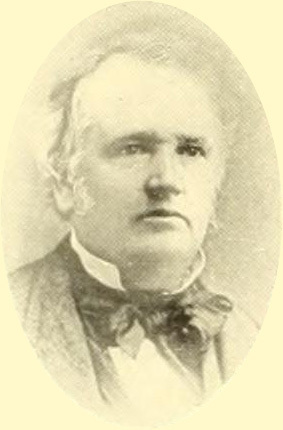 He emigrated to New York and settled in Paterson, New Jersey, USA, in 1839 where he established the American silk industry and became known as the ‘father of the US silk industry’. He became the most significant inhabitant of Paterson, establishing the public park and the public water supply. He was a major employer in his silk mill. He was one of 17 children born to Peter Ryle, a major Macclesfield silk manufacturer, and his wife Sarah Brunt. Twelve of the children died in infancy or childhood. He emigrated to the US at the age of 21. John Ryle returned in retirement, with his daughter, to visit Macclesfield. Sadly while here he died in his daughter’s arms. His body was returned to Paterson and interred in Cedar Lawn Cemetery. A large obelisk was erected over the grave as a memorial to a great achiever, an Englishman who undoubtedly epitomised the American dream. See further details on Find a Grave . There is a full history on Wikipedia .